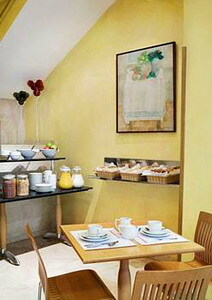 The Hotel Prisma is a modern property in Barcelona's Eixample area, 200 metres from Francesc Macia Square and 500 metres from Sants Station. 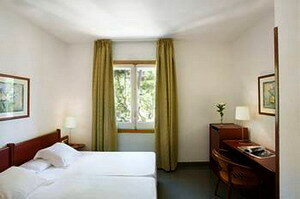 Montjuic Palace and the Nou Camp Football Stadium are all a kilometre away from the hotel and Placa de Catalunya and Las Ramblas boulevard are around three kilometres away. 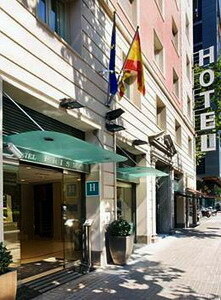 Barcelona Airport (BCN) is 30 minutes by car, 16 kilometres from the hotel. 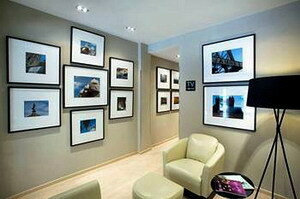 Multilingual staff at the 24-hour front desk can help book any shows or restaurants around Barcelona. Internet access is available. 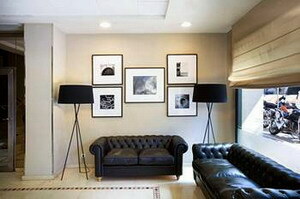 Guests can relax in the lobby which features bright modern furnishings and a coffee machine. An elevator facilitates access to all rooms. 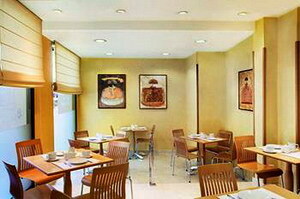 Although there is no restaurant in the hotel the surrounding area has a variety of dining options. This three storey hotel features 27 guestrooms, all of which include bright modern decor in light colours with tiled floors. 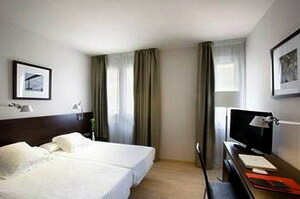 All rooms have air conditioning, cable television, minibars and hair dryers.